This cool Maileg Big Brother Hiking Mouse comes complete with his own green sleeping bag. Ready for an adventure, he is wearing a blue sweater vest, orange trousers and a green hat. 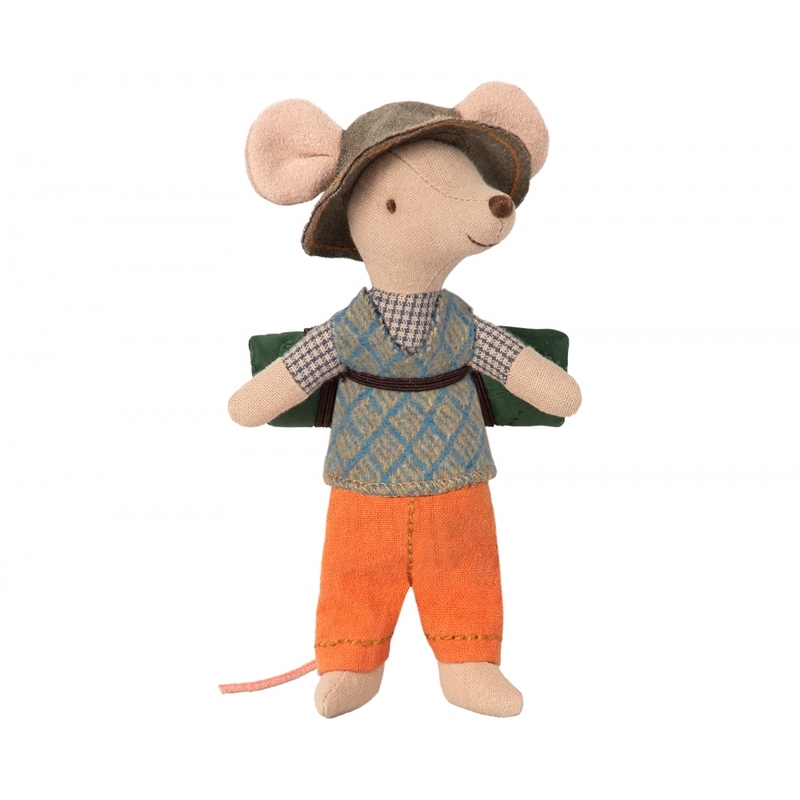 This hiking mouse is made with love and care from cotton and linen and will bring a touch of childhood magic, helping little ones to enjoy imaginative play. A unique blend of modern Scandinavian design and nostalgic storybook whimsy, this timeless Maileg mouse toy is ideal for handing down for generations and is sure to be cherished.